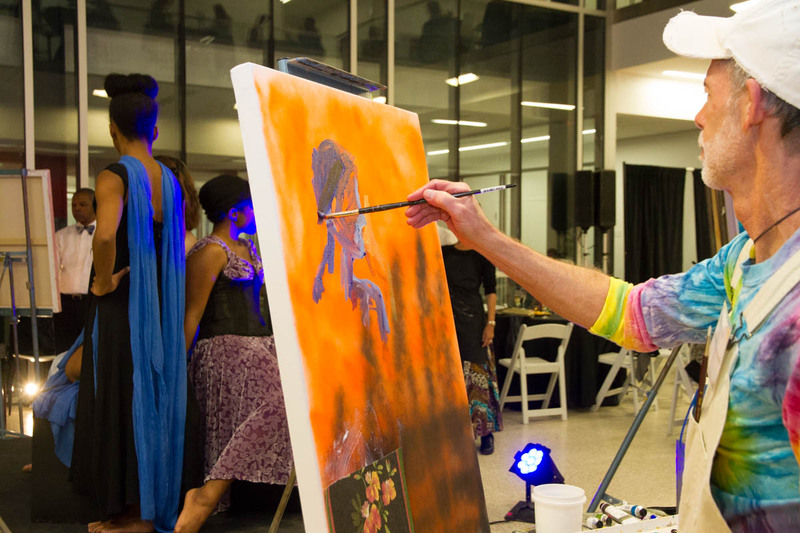 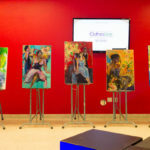 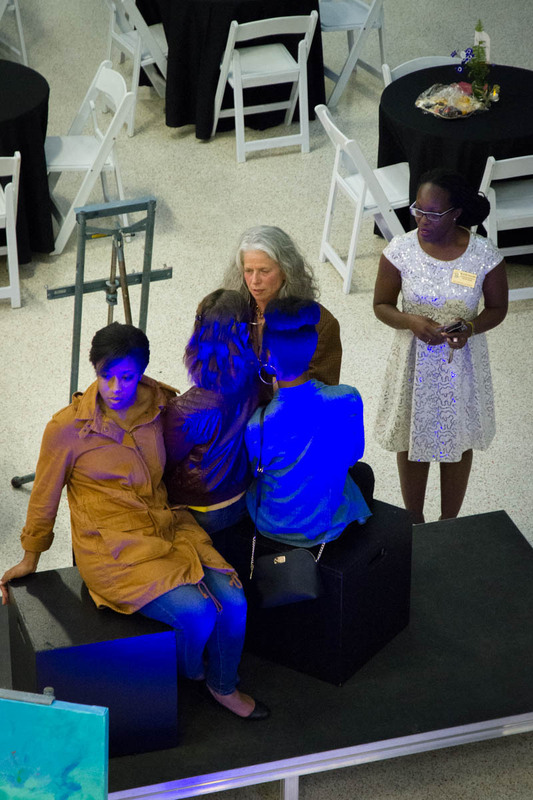 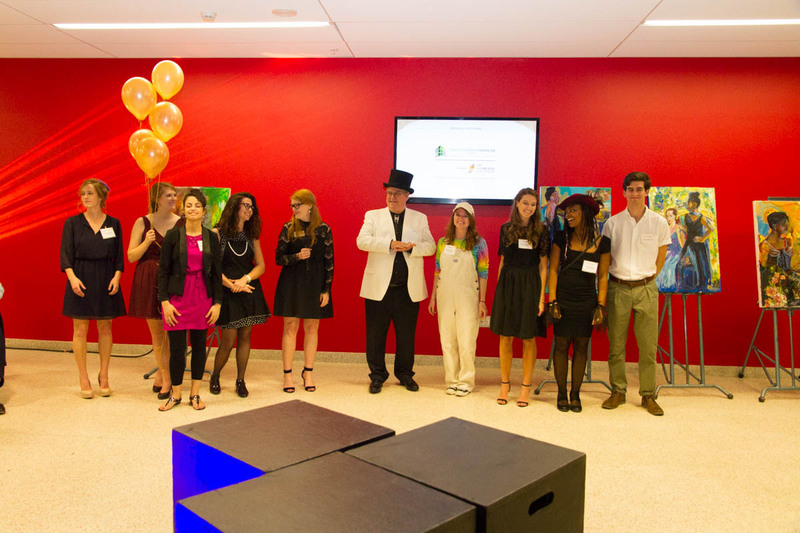 FSU’s Friends of Dance and Allies4Art presented Paint Around Gala & Auction 2017 on Saturday, March 4th in the William Johnston Building Atrium. 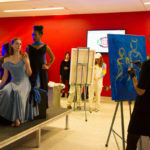 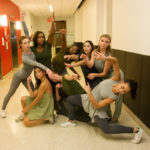 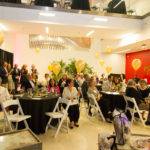 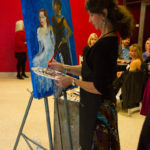 It was a huge success, raising nearly $20,000 in support for students in the School of Dance and Departments of Art and Art Education at Florida State University. 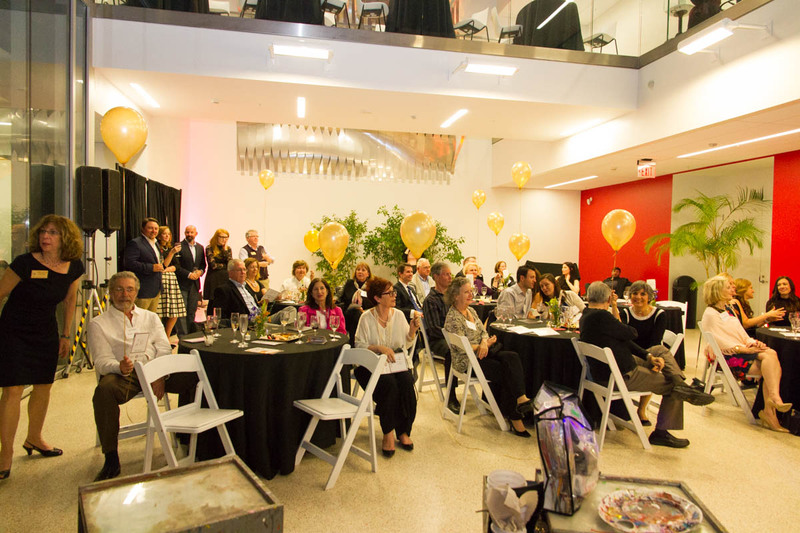 Donations and sponsorships from the event will help fund student scholarships and travel grants for research and conferences. 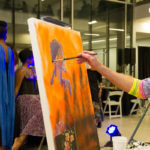 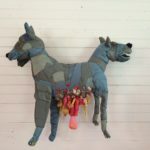 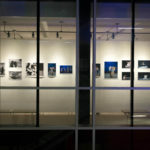 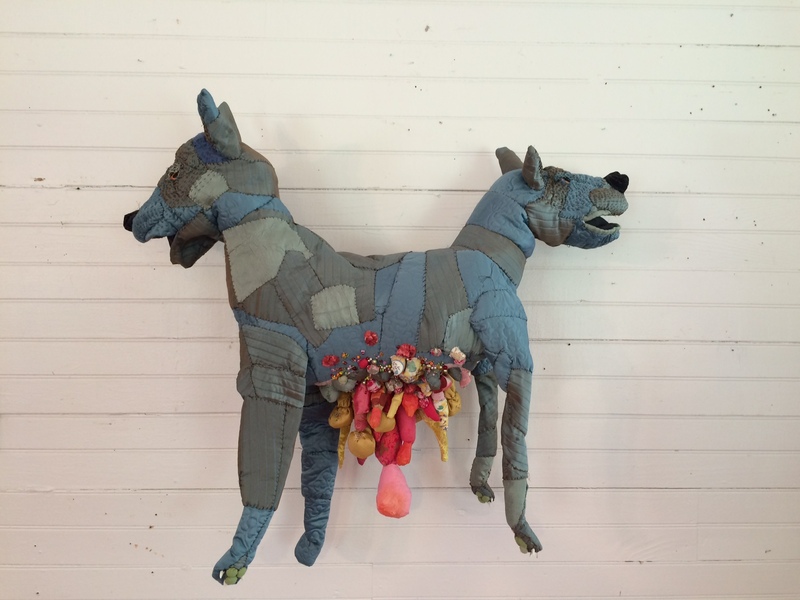 This biennial event has become known for highlighting outstanding artistic talent for a night of unique entertainment. 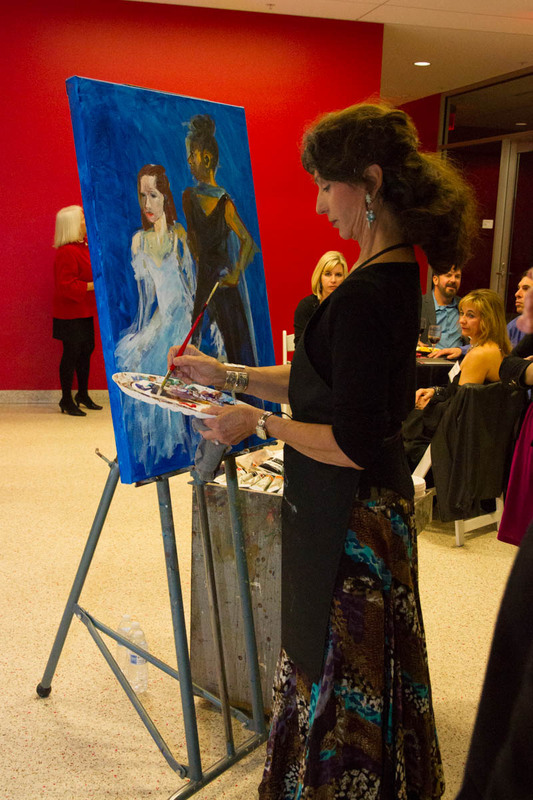 The featured artists this year were: Marina Brown, Kathleen Carter, Mark Messersmith, Dr. Audra Pittman, and Eluster Richardson. 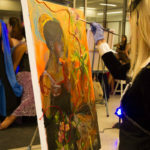 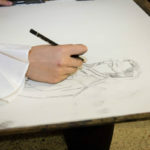 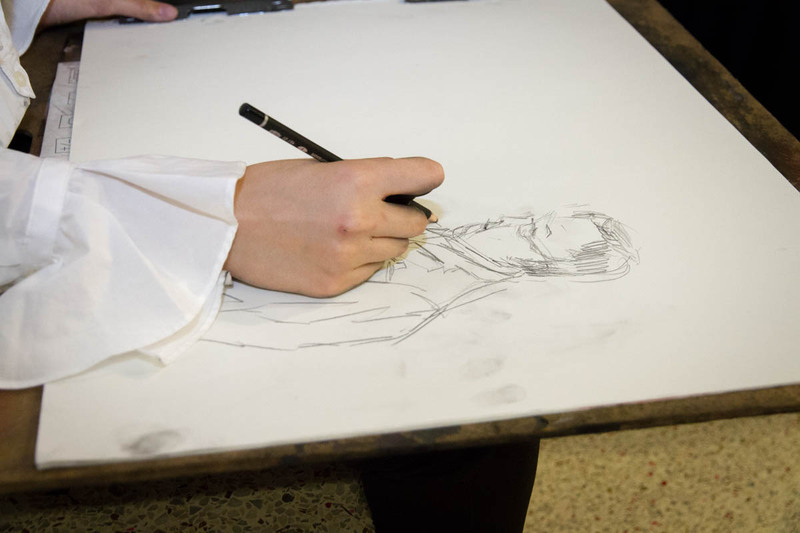 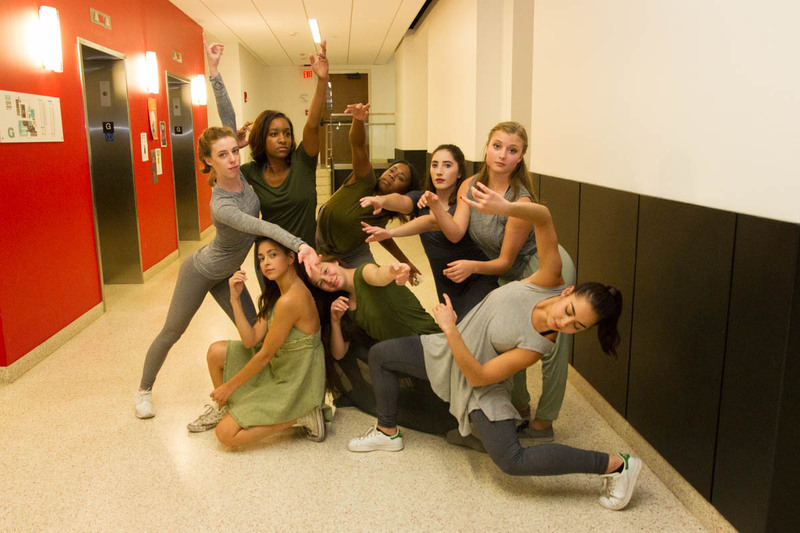 Students from the FSU School of Dance served as still-life models for the subject of the paintings. 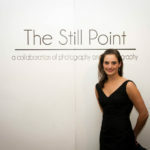 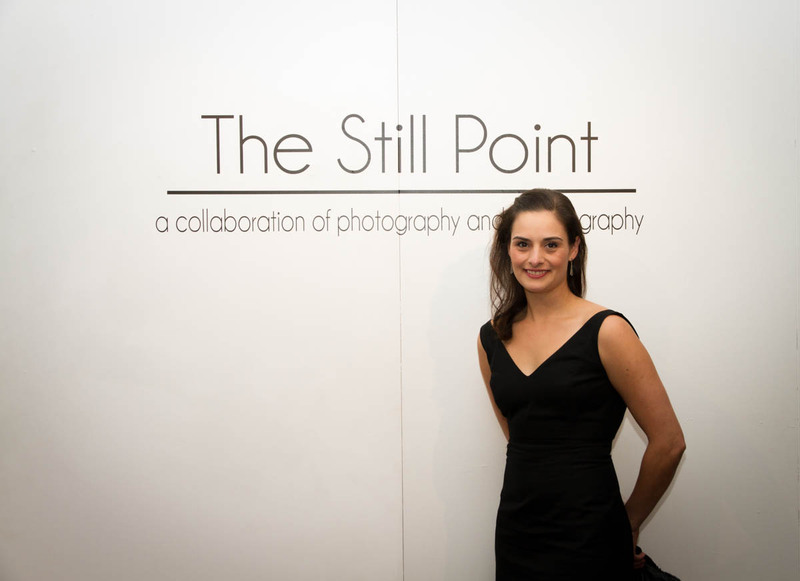 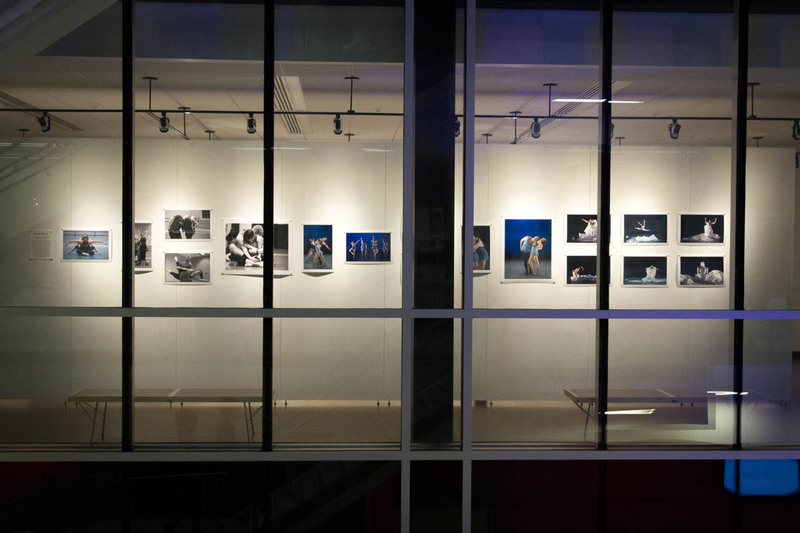 The evening began with a cocktail reception for the Event Sponsors in the WJB Gallery, where MFA Dance Student, Meagan Helman, is currently holding her dance photography exhibition. 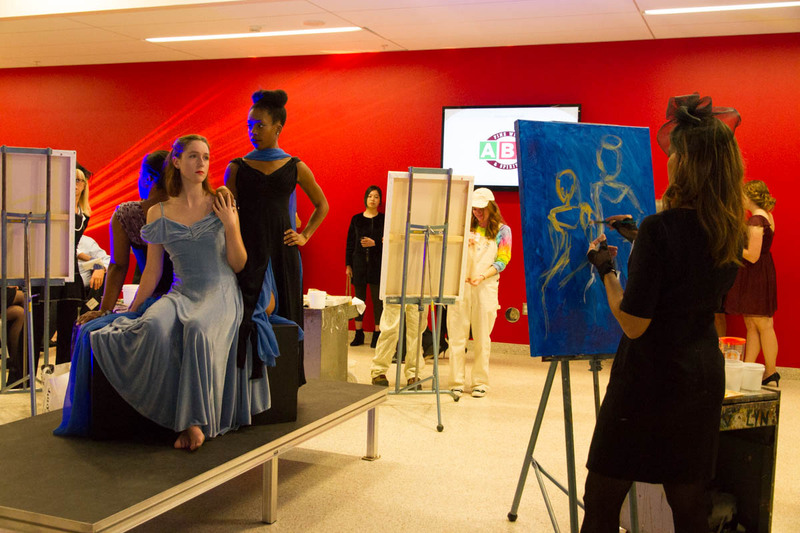 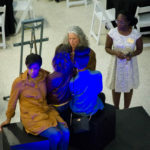 The crowd then moved into the atrium where the models posed on risers surrounded by five easels. 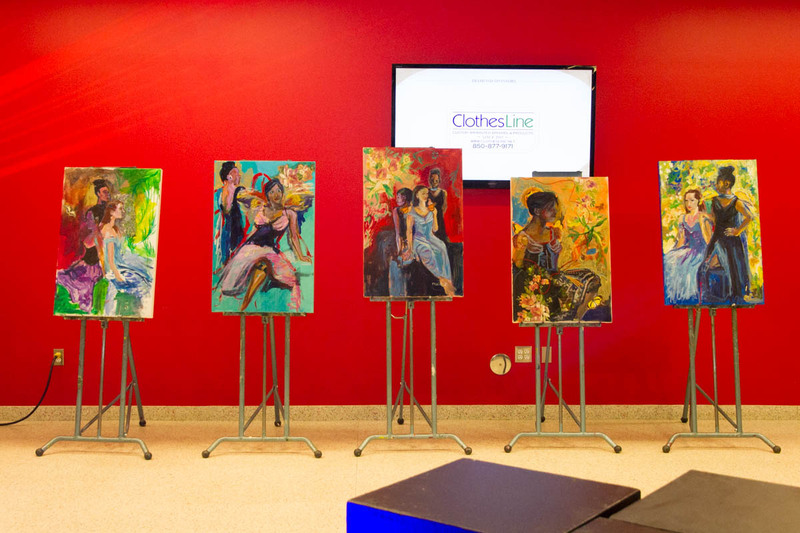 When the first round of painting commenced, the five featured artists began rendering their view of the posed models on the canvases before them. 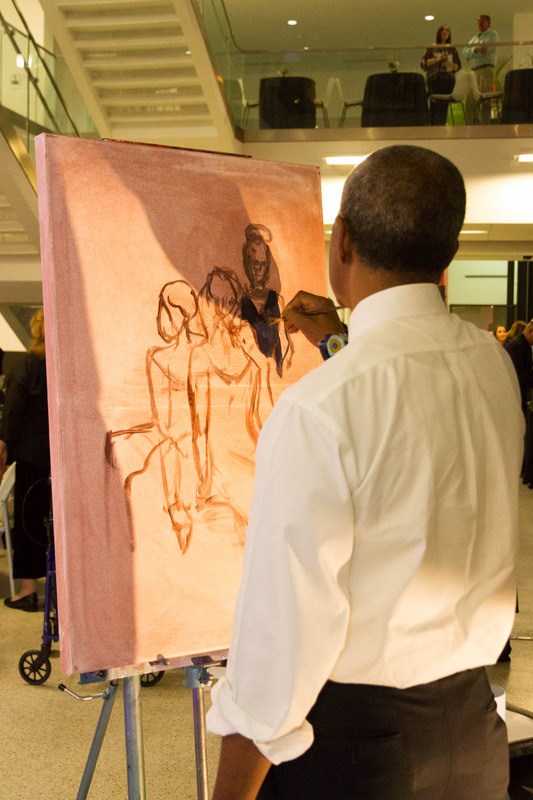 Then, every ten minutes for the next hour, the artists rotated and worked on their neighbor’s canvases. 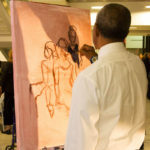 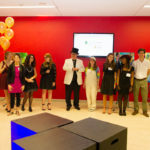 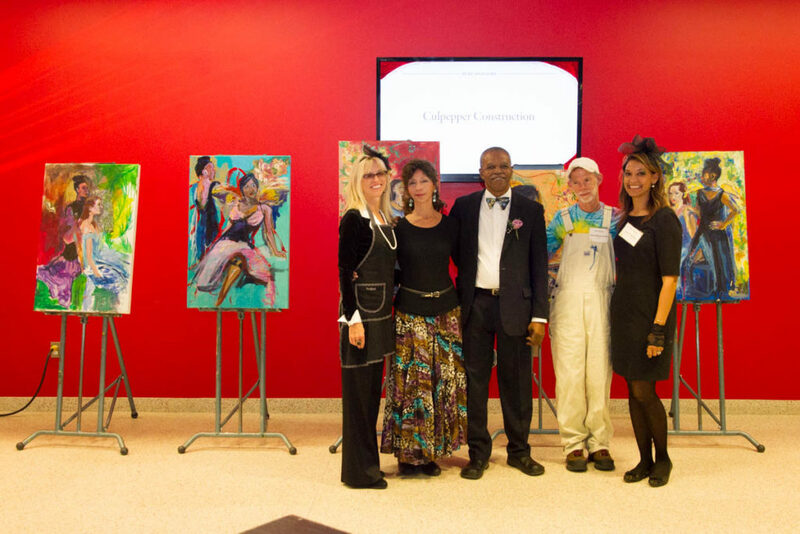 By the end of the evening, each painting contained the hand of each of the five artists, and the resulting collaborative masterpieces were auctioned off to a lively crowd. 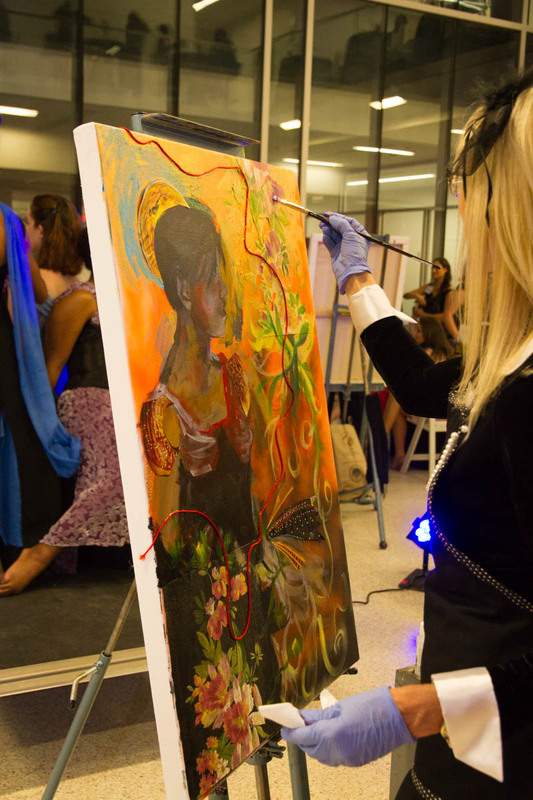 The College of Fine Arts would like to thank all of the sponsors, guests, and volunteers who attended and supported this event. 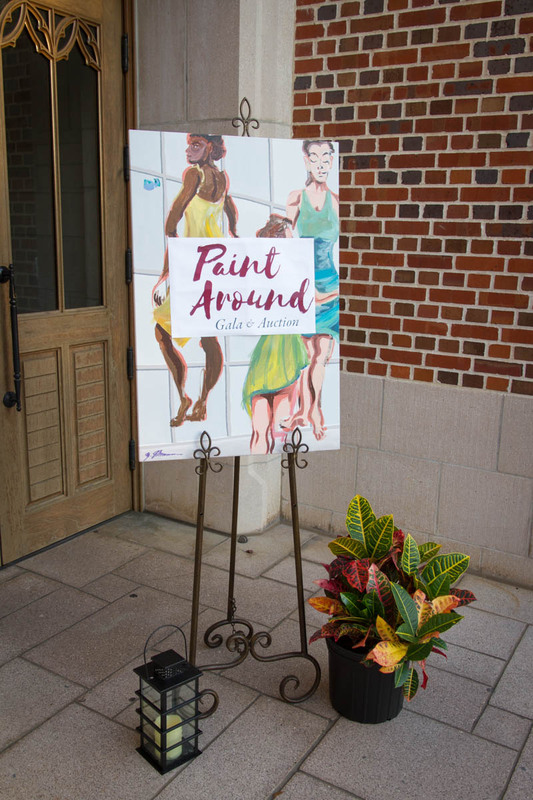 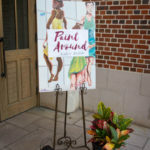 We hope to see you all again at Paint Around Gala & Auction 2019!